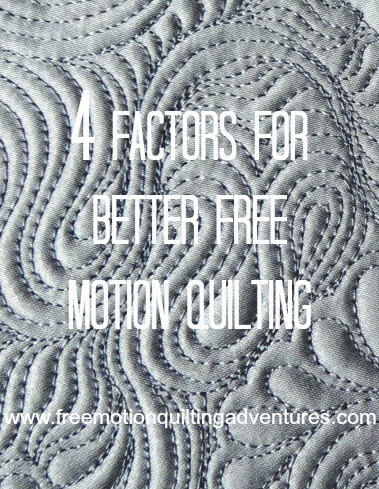 There are so many variables that affect your free motion quilting. I'm going to focus on four of them in this post. There are seriously an infinite range of variables and they are all intertwined when it comes to getting your best quilting done. The graphic below shows only a few of them. This is a skill that takes quite a bit of work until something just clicks and off you go. For some, that click comes quickly and for others, they may give up before that happens. I suspect it's a bit of a right brain, left brain thing. But regardless, these four issues have a huge impact on all quilters learning FMQ. So let's get to them! Muscle memory isn't a new term if you've read my blog for long or taken a class with me. Other FMQ teachers refer to it as well. It's what you develop as you practice free motion quilting either on an actual quilt project, but more commonly with drawing the quilting designs. There's a connection between the hand and the brain. In the education world, it's called Kinetic Learning. Drawing, tracing, practicing all develop the ability to move your hands in the desired patterns. This is closely related to Mapping, which is my term for figuring out "Where do I go next?" I'm going a little wild with the alliteration, but stick with me. Drawing the designs inside a quilt-based shape, whether it's a whole sheet of paper or a triangle helps you to map out where to go next. For a beginner, it's great practice for how shapes are formed and where you will end a design if you start it in a certain direction, not to mention how to best get out of corners and tight spots. For more experienced quilters, it allows them to see is a design will fit a particular area, as in the photo above, and prepares the route, so to speak, for the quilting. So make sure to make time in your quilting practice for muscle memory and mapping by drawing and doodling. A good surface to quilt on is a huge factor in free motion quilting. Speaking of huge, bigger is usually better. I swear by my Supreme Slider ! when quilting my sister's wedding monogram, something was a little off. About half way through, I realized I hadn't put my slider on my machine after returning from the AQS show. It smooths out all the tiny gaps between my machine and table. it covers up and grooves or ridges in the machine bed that are so handy for hemming and such, but can cause just as tiny bits of drag on the quilt top. Quilting should not be a drag! The quilt should not be hanging over the edge of the table. That downward force of gravity really adds to the force that must be exerted to move the quilt. It's physics! Yes, laying it flat helps when planning your quilting design, but bunch it up for quilting. Do not roll it into a heavy log either. Puddle that quilt! See this older post on quilting a larger quilt, including a video on puddling (The best part of the video is the latter half). Note how the folds act as hinges of a sort so that you're not moving the whole quilt. In fact, having the table in a corner is fabulous to keep the quilt on the table and help create the folds of puddling. I write more on this at my post, 3 Ways to Know Your Machine Intimately, but let's cover a few basics. Have you read your manual? Are you using the right bobbin for your machine? Seriously folks, I don't mean to be insulting, but I work at a sewing machine repair shop and you'd be surprised how many machines are brought in with the wrong bobbin, needle in wrong, or threaded wrong. But I suspect you are wonderfully smart sewers (sewists? Which term do you prefer?) and have the basics down. But there are subtleties that can affect your quilting. My machine works better with genuine Janome bobbins even though my dealer swears that the generic ones are fine. My machine doesn't like free motion quilting when I'm pulling the quilt directly towards myself. 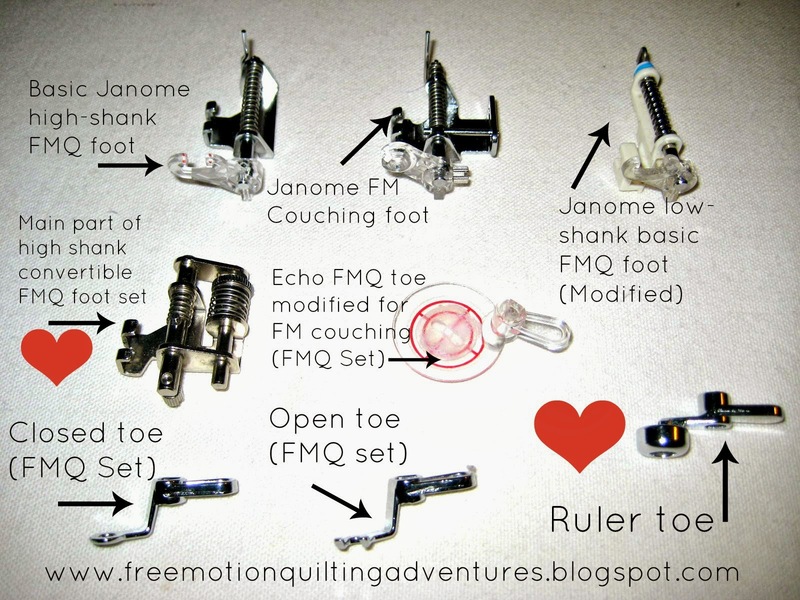 What free motion foot works best on your machine for your quilts and your style of quilting? Does your machine sound a little different when the bobbin is almost empty? Mine does. Can you tell the difference between the sound it makes when all is going well, versus when something is messing up underneath? What tension does it need for your favorite combinations of thread, fabric, and batting? Closely related to knowing your machine is knowing yourself. 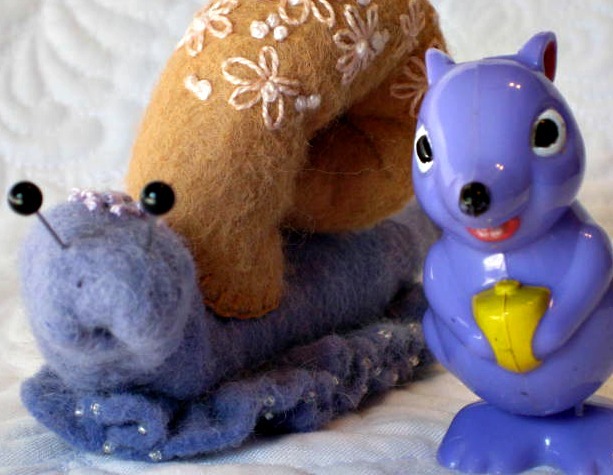 Are you a slow quilter or fast? Speed is relative when it comes to free motion quilting. What threads do you (and your machine) like best? What style makes your heart sing? Some quilters do best with sharp, angular designs, others do better with curvy, swirly designs. Once you figure out who you are as a quilter, don't compare yourself to others. Do what you like to do, what works for you! Don't be afraid to stretch your skills from time to time, but don't let comparison steal your joy. Finally, I leave you with the fourth factor that no one really wants to hear, practice, practice, practice. also known as PPP. Sometimes substituting perseverance or persistence into the combination. It takes time to develop these skills. Don't give up! 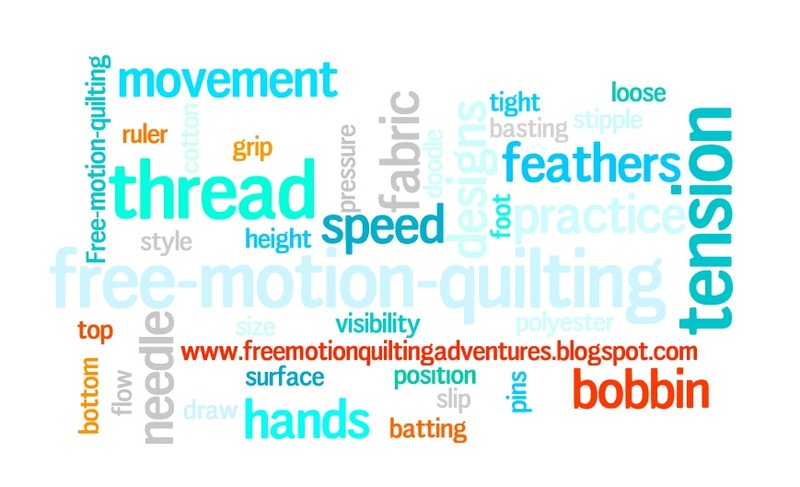 Take a look at the posts under the tab Tips for Free Motion Quilting for more tips. I am happy to answer questions too. I have been getting a lot more comments, emails, and messages regarding quilting and I'm doing my best to answer all questions. I might not be responding to every comment, but I do read all of them. You are all so encouraging of my efforts to share my free motion quilting adventures and I thank you so much. Thanks - great post full of important information! What a great and concise summary of facts. I totally agree with the know your machine element. I never cease to be amazed at all the little quirks each machine shares with us as we work! Your information is much appreciated and I will share a link to this post on my blog. Always enjoy your posts! this is so true Amy...my biggest set back is that I won't take that time to work things out before sitting at the machine!!! What a great post, Amy! I completely agree with what you have said. I like your term of mapping. That is the word I was looking for the other day. Thanks for the great post Amy! It's always good to get good advice from an experienced quilter. I totally agree with you Amy! Thank you for writing this!!! Great post! I have a Janome 6600 and you are right I do know the sound it makes when the bobbin is almost empty, but do I stop and fill it? No, I always try to run it out of thread invariable causing lots of perfect air sewing...lol! That PPP part is never ending for me, but I am getting better and braver! Ferne, you are right! I hear that sound and think, “hmmm, hope that isn’t something bad.” Then it quiets down and runs out of thread and I then realize that was my warning! This is a great review, Amy. Information every good FMQ instructor should share. Well done! Thanks for your very informative article--- great advice!